Piglet Startrite is a highly digestible diet, which is used to assist the piglet in the change it makes from a liquid milk diet to a solid cereal diet. The correct diet during this period will maximize growth and reduce post-weaning weight loss. 0 – 5 weeks = 2kg per pig. Express Wean should be fed after Piglet Startrite. The Express Wean diet contains highly digestible sources of energy and protein to ensure the piglet growth rate is optimal during the period following weaning. 5 – 12 weeks = 54kg per pig. 5 – 10 weeks = 37kg per pig. Supreme Grower has been formulated to maximise growth in the early stages when the pig is capable of utilising a high density diet to lay down lean body tissue rapidly and convert feed efficiently. Supreme Grower is used for entires and gilts of high genetic potential. 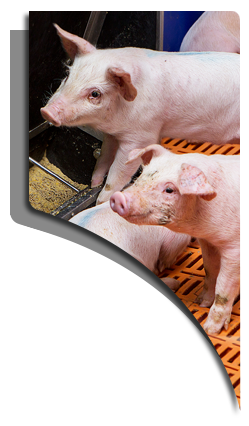 Intake 12 – 22 weeks = 152kg per pig. Intake 12 – 16 weeks = 49kg per pig. Supreme Developer has been designed as a single growth ration for producers wanting to feed only one diet. Supreme Developer is used for producers with pigs of a high genetic potential for lean meat deposition. In consultation with your technical advisor, the Developer can be fed as part of a phase feeding system. ONE PHASE FEEDING Feed Supreme Rearer from 12 weeks of age to slaughter. Intake 17 – 22 weeks = 88kg per pig. Supreme Rearer has been designed as a single growth ration for producers wanting to feed only one diet. The nutrient content is of such that it can also be used in a two or three phase feeding program for enhanced profitability. Intake 17 – 20 weeks = 49kg per pig. Feed directly after service, a restricted diet of 2.2kg per day. At four weeks prior to farrowing increase to 2.5kg per day. Feed a restricted diet of 2.2kg per day. Feed a restricted diet of 2.5kg per day 4 weeks prior to service. Breedmor Milkyway has been formulated to address the specific needs of the lactating sow in order to maximise milk production and subsequent weaning weight. 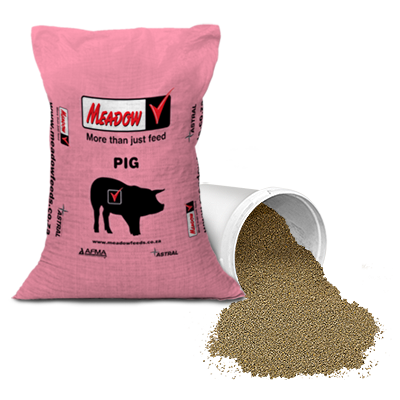 Feed 2.5kg on the first day (preferably split into 3 feeds per day, eg. 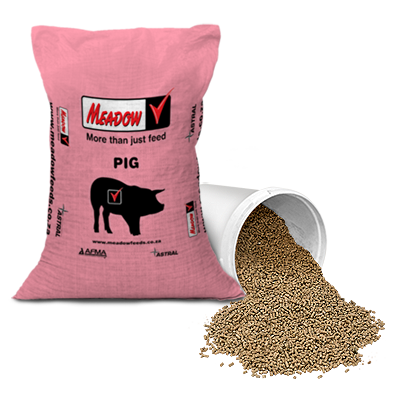 morning 1kg, lunch 0.5kg and supper 1kg = 2.5kg) Increase by 0.5kg per day until the sow reaches her maximum intake. (Peak lactation normally occurs around day 21, with an average maximum intake at this stage of about 12kg per day. Feed ad lib. from weaning to service thereafter change to Breedmor Sowcare.